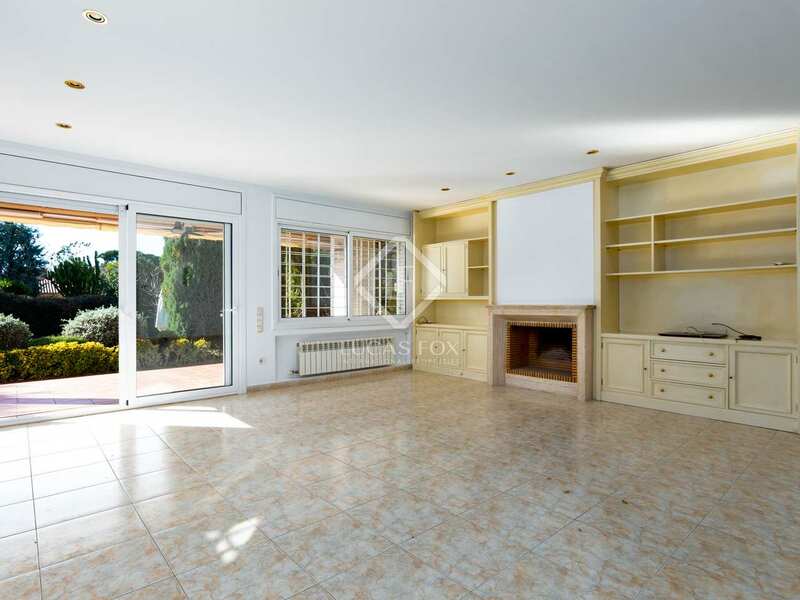 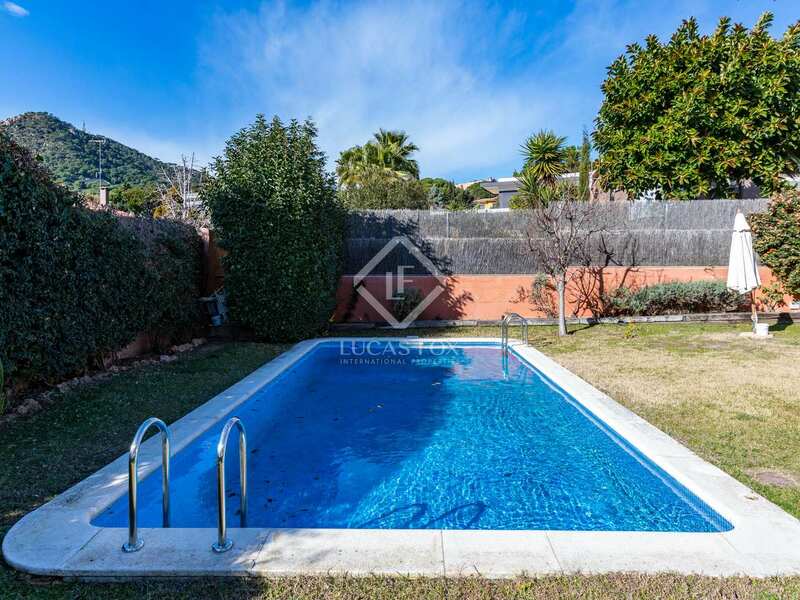 Wonderful family home with an attractive garden, lots of light and easy access to Barcelona, for sale in Cabrera de Mar. 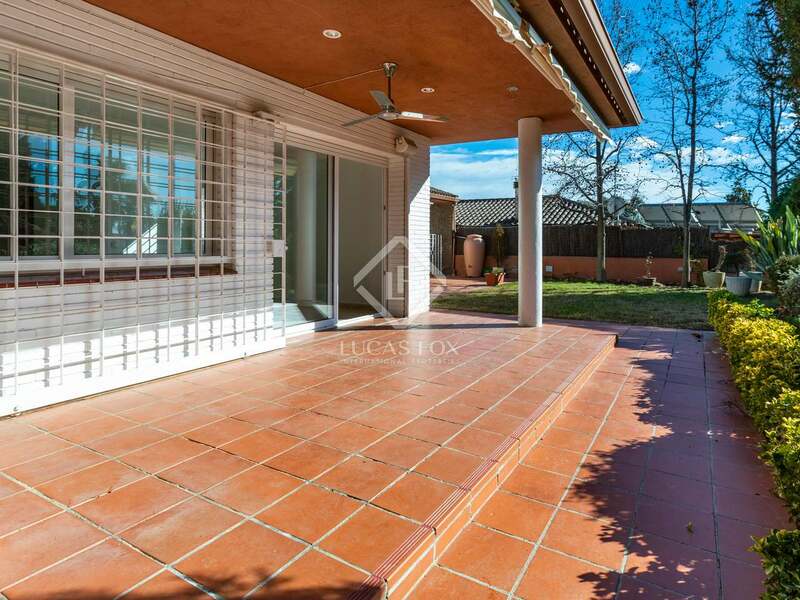 Built in 1998, this single-level brick house has a south-west orientation and receives sun all day. 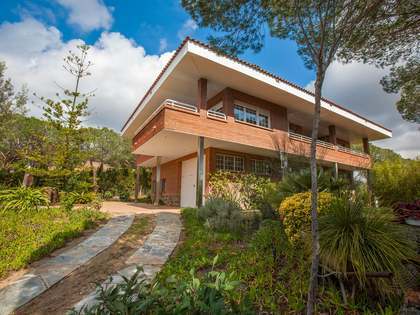 Its practical distribution makes it ideally suited to the indoor-outdoor lifestyle the Mareseme climate is famous for. 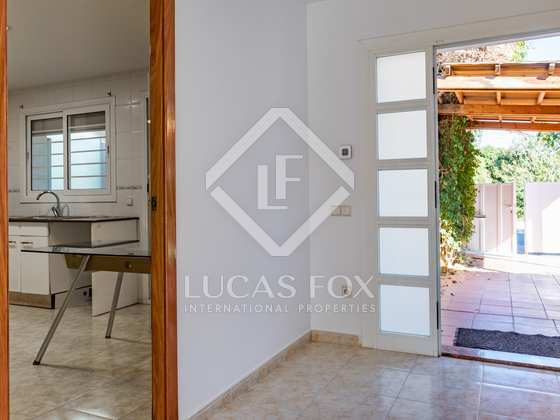 From the front garden, the main entrance leads through to a spacious living-dining room with a fireplace and sliding doors out to the exterior dining area and back garden. 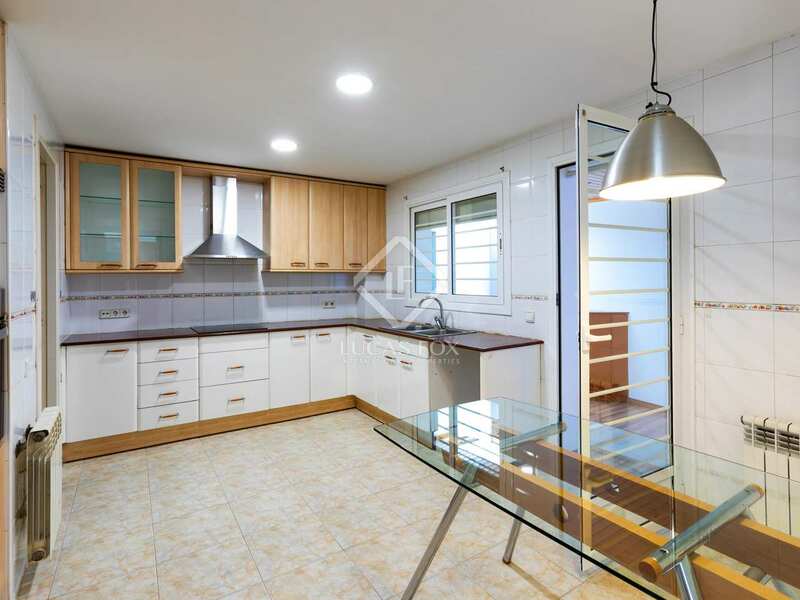 To one side is the kitchen with breakfast area and an additional space with en-suite shower that can be used as an office/children's playroom or TV room. 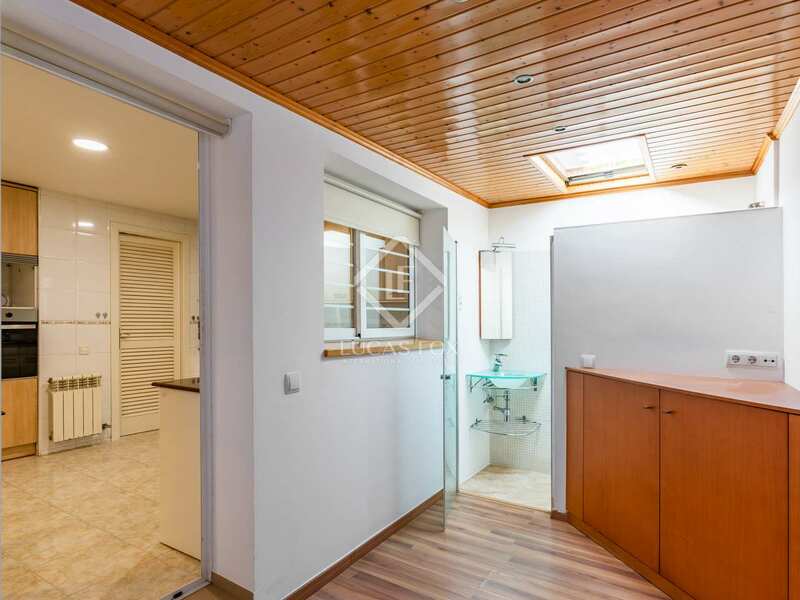 Opposite the kitchen is a corridor leading to the master bedroom suite, a further double bedroom, 2 single bedrooms and a bathroom with bathtub. 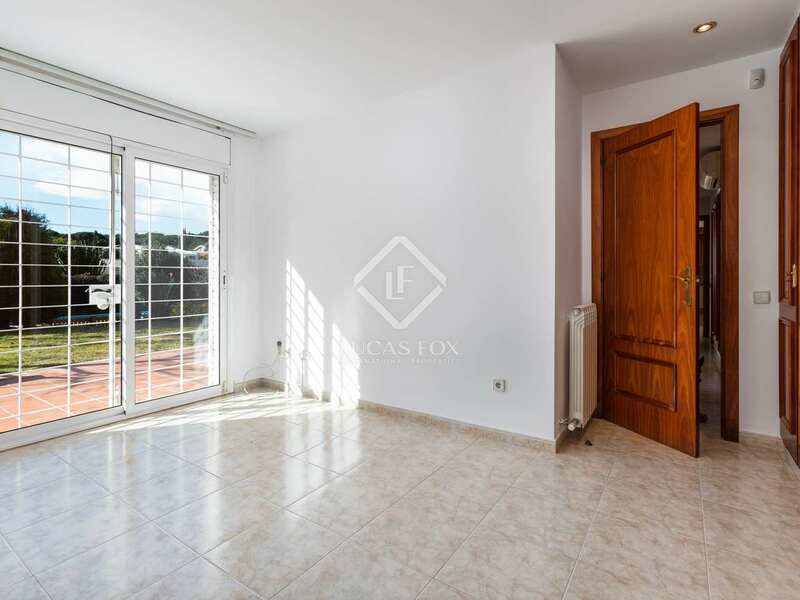 All bedrooms have fitted wardrobes and the master bedroom has direct access to the garden. 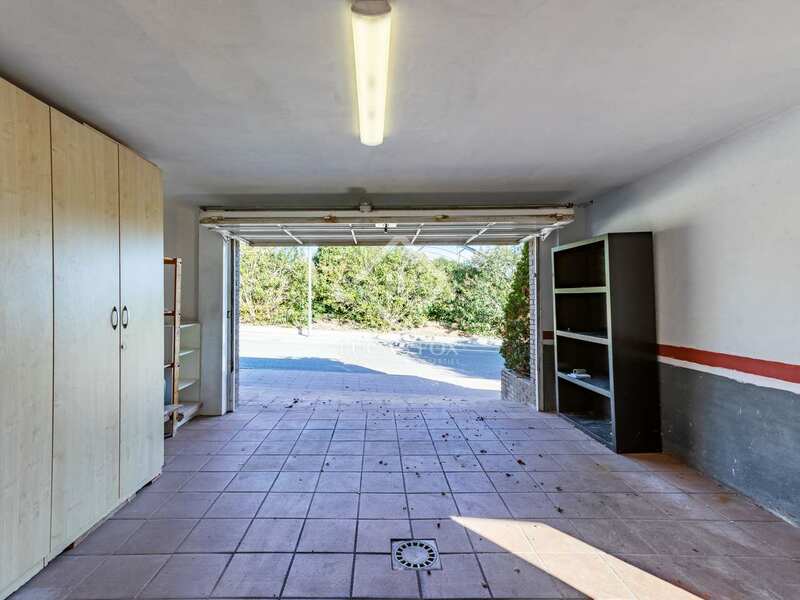 Alongside the entrance to the house is a 2-car garage and an additional covered parking space. 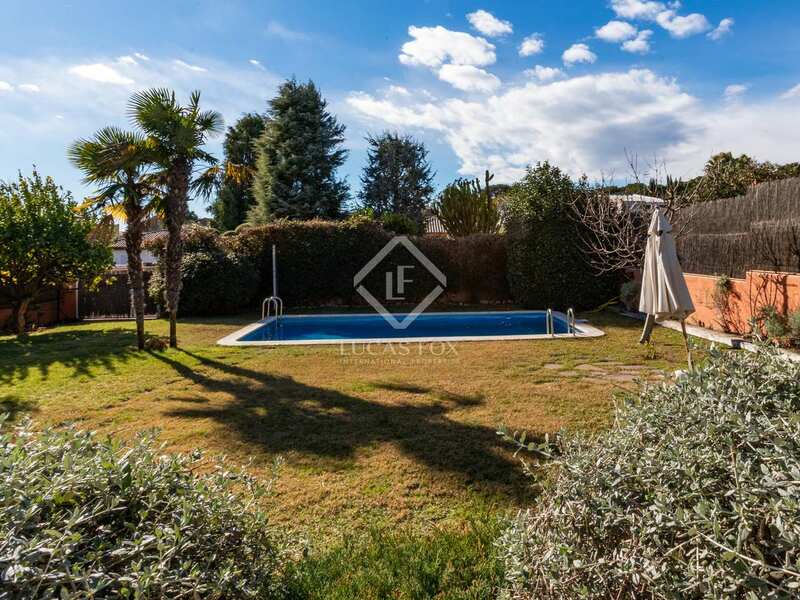 The large, level back garden features a swimming pool, lawn and further terrace. 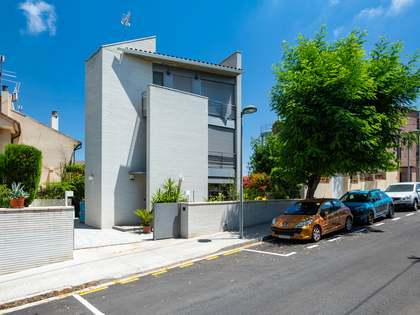 The property benefits from gas central heating, air-conditioning, double-glazed aluminium windows, electric window blinds and electric sun awnings. 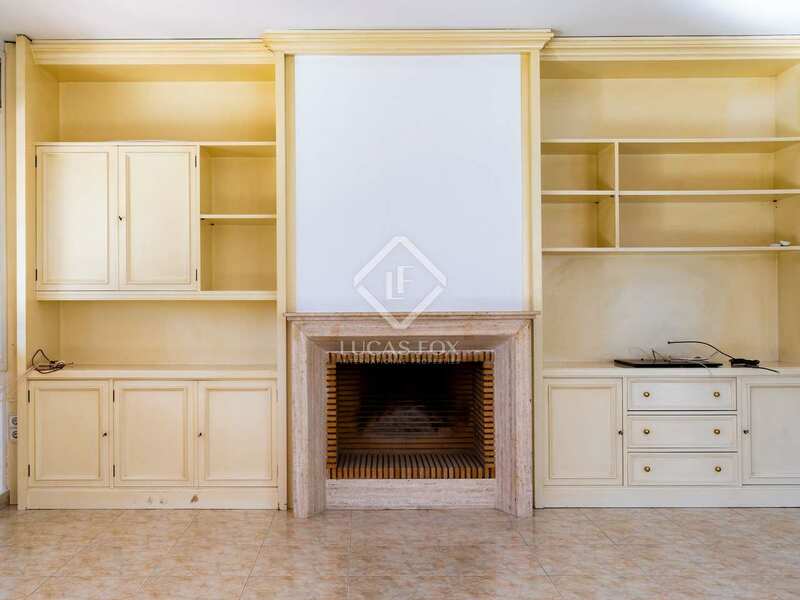 The house is presented in good condition although would benefit from some cosmetic updating. 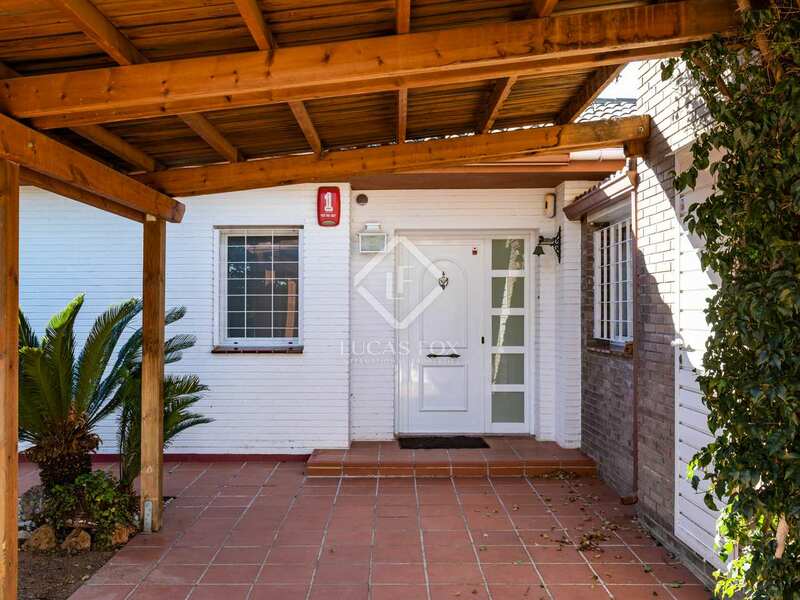 Located on a quiet street with no through traffic, the property would make a perfect family home. 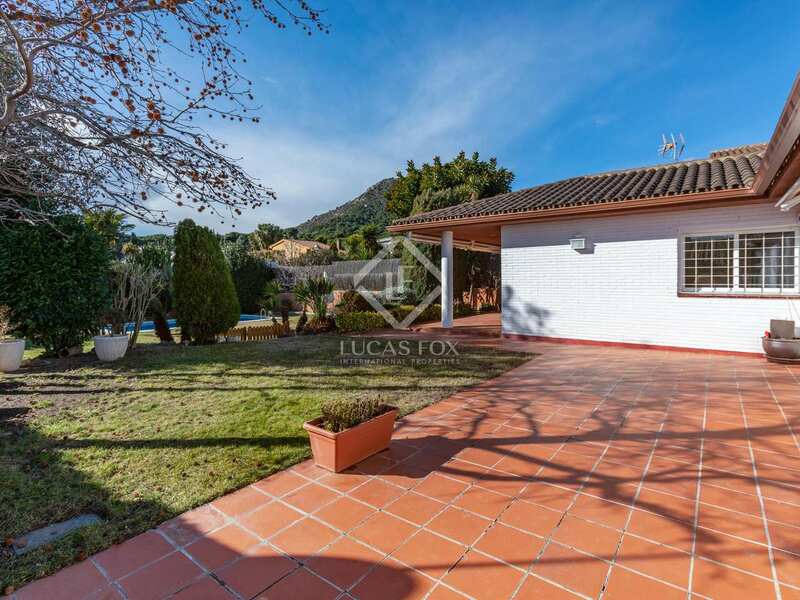 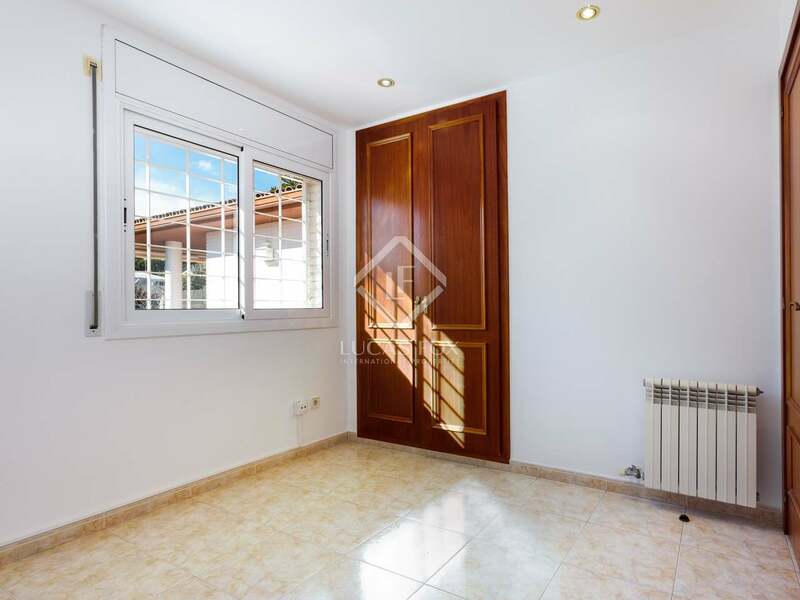 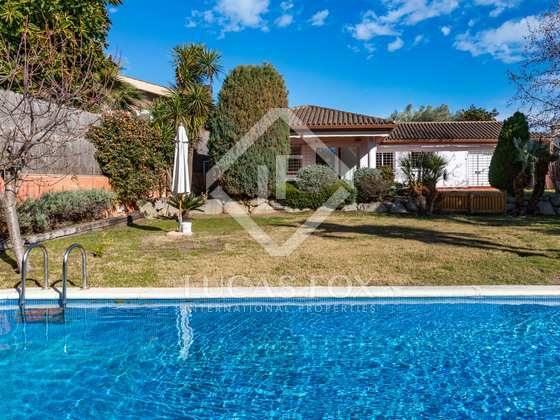 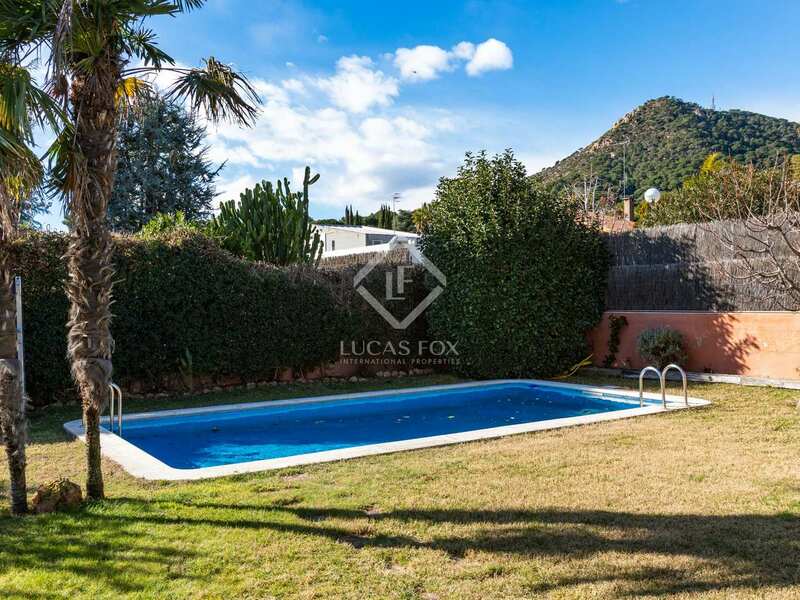 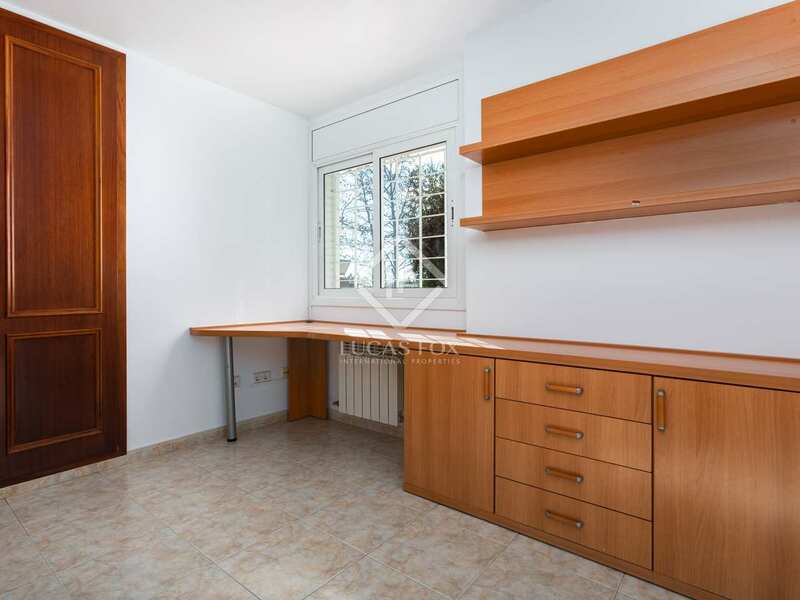 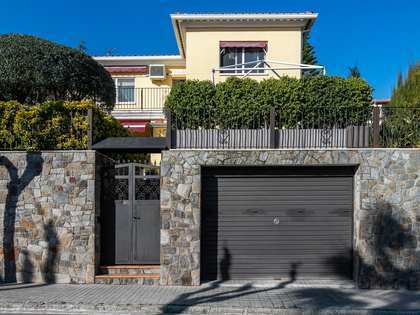 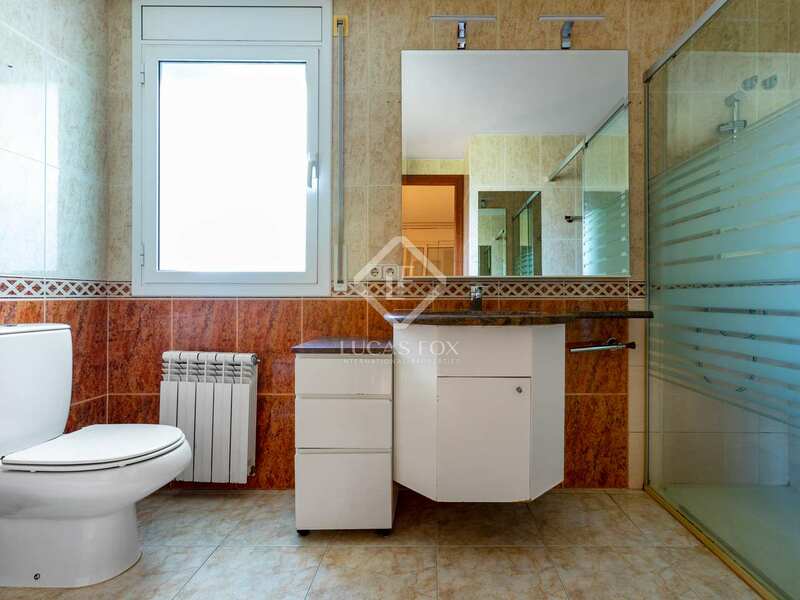 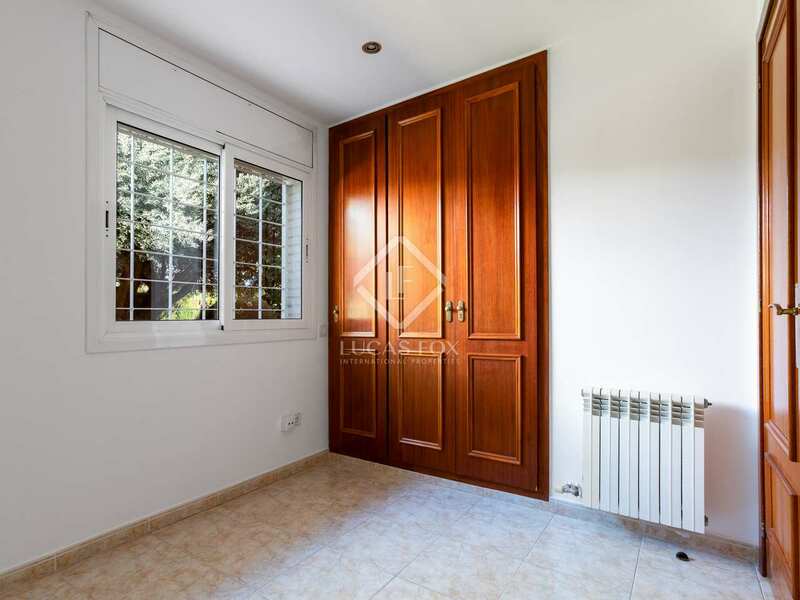 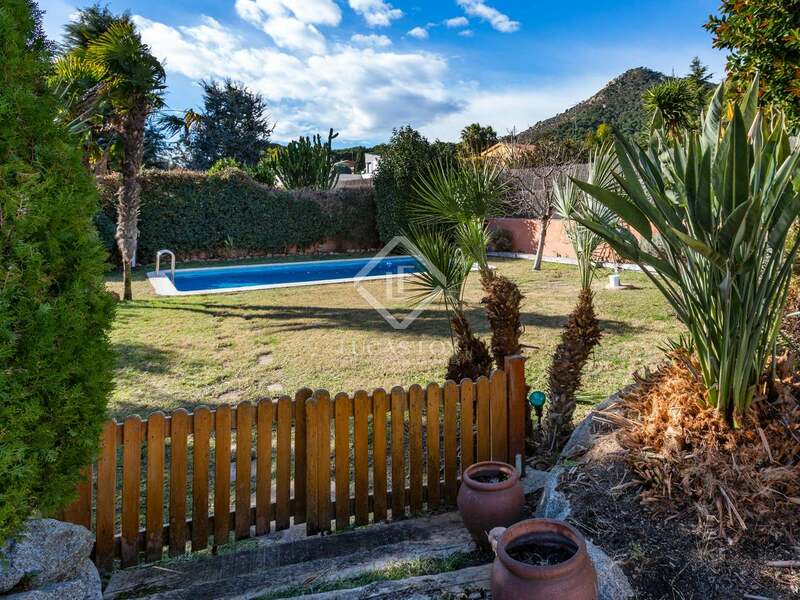 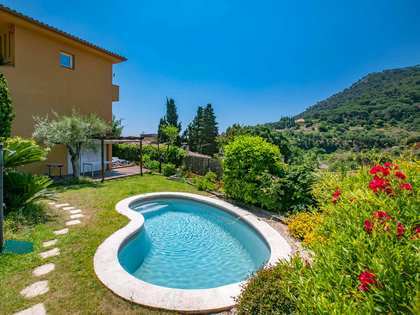 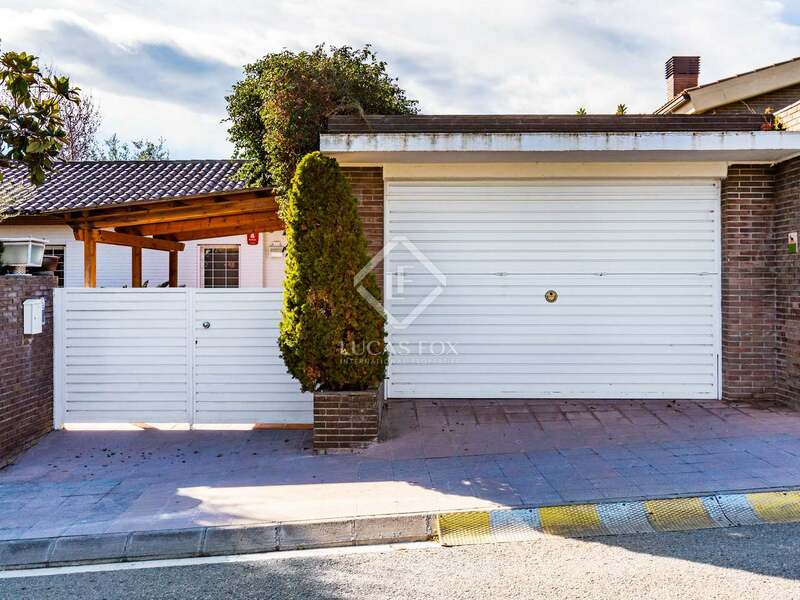 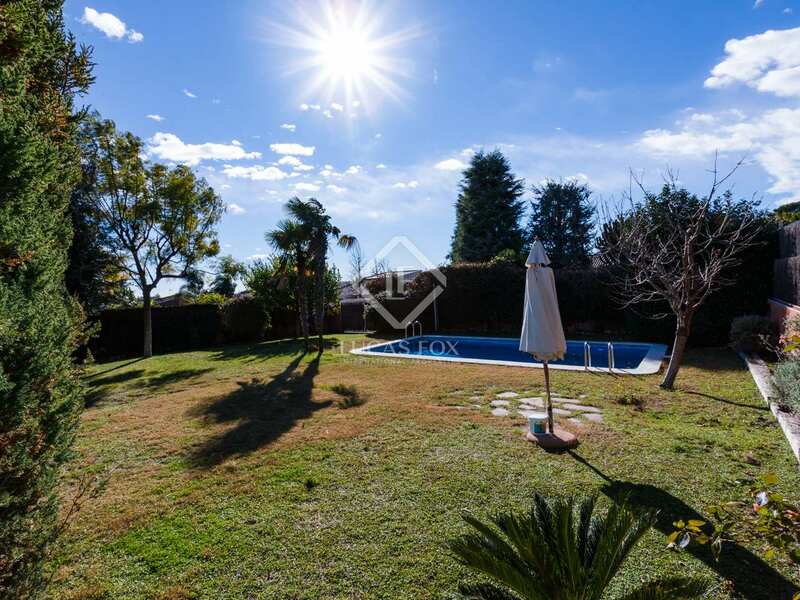 The property is located in the Mas Terrillo urbanisation, and is within walking distance of the centre of the village. 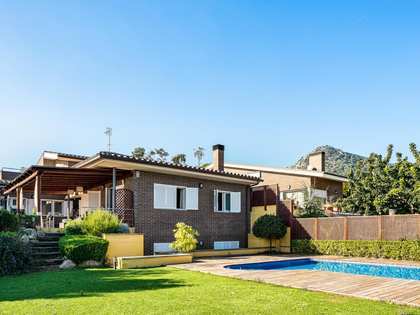 By car the motorway access is just 3 minutes away and Barcelona can be reached in 20 minutes. 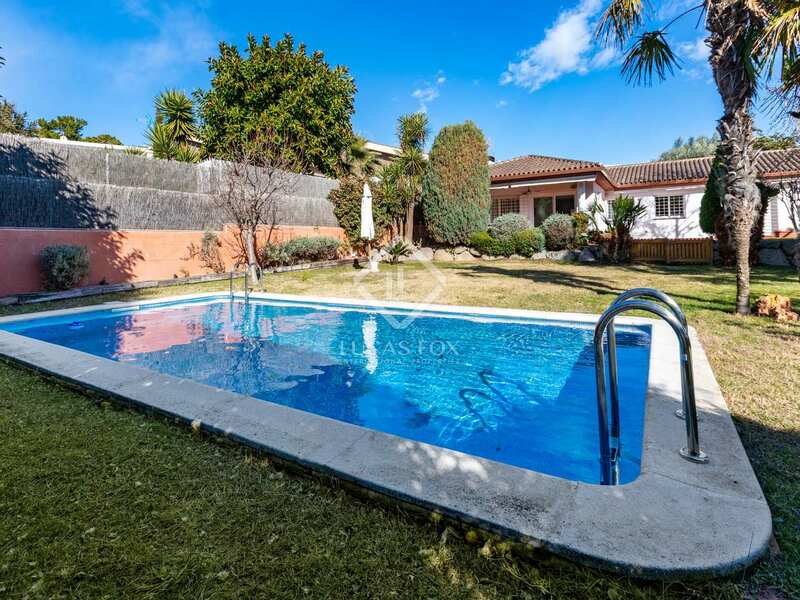 The railway station and attractive sandy beach are just 2km away.